How Does Inflation Affect Your Retirement Plans? Everyone has seen the effects of inflation in one way or another. Simply watching the price of things like housing rise over the years is one basic example of inflation. Of course, inflation affects more than just home prices. The cost of goods, services, and the value in your bank account could all be affected by inflation. Still, inflation is often a concept that many people cannot put directly into words. People understand inflation on a basic level but they cannot relate inflation to their own lives. Inflation may not change your life between today and tomorrow. But it could have a major effect on your finances in retirement. 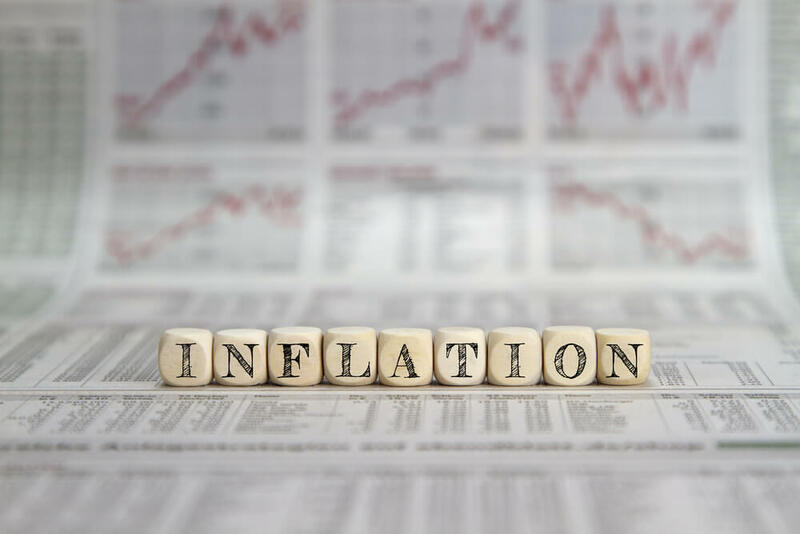 In this article, we will look at how inflation affects retirement savings and how retirement planning can help you stay ahead of inflation. Simply put, inflation is a general increase in prices for goods and services. Typically, inflation is tracked country by country. For instance, the United States has its own inflation rate while other countries have different, unique inflation rates that reflect their economy. As the price of goods and services increase, the purchasing power of a dollar decreases. Currently, the United States is projected to experience around 2% inflation throughout the coming years. If this were to hold true then $100 today would only have about $89.59 purchasing power in 5 years. As you can see, this could be very alarming for someone saving for retirement that’s still many years away. Luckily, proper retirement planning ensures that your savings do not end up being worth less than when you put the money aside. The main method that retirement planners use to avoid the costly effects of inflation is investing. With the right risk management strategies, investors can outpace the rate of inflation and watch their savings grow despite inflation. For example, an aggressive portfolio that earns a 10% rate of return this year would outpace inflation by 8%. Even after factoring in the rate of inflation, this investor has come out ahead. That’s by simply by choosing the right retirement planning strategy. Of course, not everyone has the ability to invest in an aggressive portfolio. People who are nearing retirement simply cannot risk their savings in the markets the same way someone in their 20’s or 30’s could. For these people, evaluating risk management is important. Even conservative investments can still outpace the inflation rate. By working throughout your working years to adjust risk management, you can come out well ahead of inflation. Take on more risk in your younger years to enjoy greater gains while taking on less risk later in life for smaller gains. The net result is an investment portfolio that has still increased in value beyond the rate of inflation. No matter what age and risk tolerance you have, retirement planning and investing can ensure you stay ahead of inflation. This allows you to enjoy your golden years the way you have always dreamed of. Of course, the effects of inflation do not stop once you have entered retirement. In fact, inflation could quickly eat away at your retirement savings, if you do not have a plan for your money in your retirement years. One of the most important parts of retirement planning is creating investment withdrawal strategies. This is for the years when you finally need to begin using the savings you have worked so hard to set aside. As people begin to enjoy longer lives, they need to ensure they have the money whenever they need it. A common rule of thumb that people use for creating investment withdrawal strategies is the 4% safe withdrawal rate. This rule allows investors to take 4% of their savings out per year, while still being invested in a conservative portfolio. By using the 4% safe withdrawal rule, retirees can ensure their funds will last for years after they work their final day. Funds will continue to grow at a small rate as they begin to draw money for their living expenses. Inflation will still have an effect on the funds but this effect, once again, is mitigated by smart investing. Depending on needs, some retirees will opt for a 3% or 3.5% safe withdrawal rate. This is a more conservative take on the 4% safe withdrawal rate. Again, with smart investing, the effects of inflation and withdrawals can be greatly reduced. For those who take retirement planning seriously, the rate of inflation will be a very small concern. Begin to save for retirement early and adjust risk management strategies throughout life. This will have a much greater effect on retirement savings than inflation. People who begin investing in their 20’s will enjoy compounding interest throughout their life. As they continue to invest throughout their working years, their nest egg will grow even more rapidly. These massive, positive effects on an investment plan are far greater than the minimal negative effects of inflation. If you are unsure of how to get started with retirement planning then Mooney Lyons is here to help you. From beginner investors to retirees looking to create investment withdrawal strategies, Mooney Lyons has the expertise to guide you along every step of the way. Saving for retirement does not have to leave you stressed or worried. Let us create a plan that allows you to enjoy life to its fullest today and when you enter retirement. Contact our retirement planning experts to learn more. Investing involves risk including loss of principal and there can be no guarantee that strategies promoted will be successful.